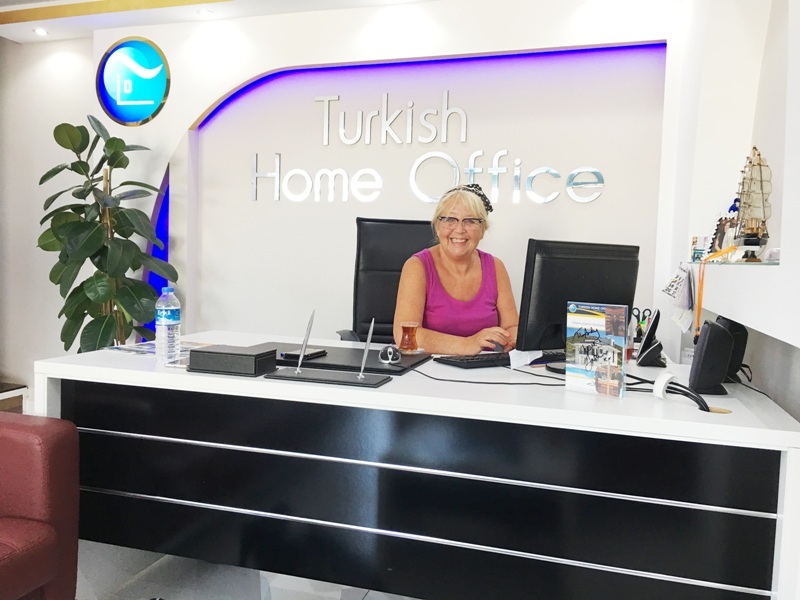 We have recently bought a duplex from Turkish Home Office and whole experience was amazing. Me, my wife & our 5 year old daughter came for a 3 days inspection trip, saw a large nunber of properties and ended up buying an absolute bargain. Belma & Deniz were extremely helpful and explained everything as expected. Even our 5 year old loved their company as they truly made us feel at home. Deniz knew we were serious about the purchase and trusted us so much that we even got the Tapu in our name before paying the full amount. I will highly recommend THO to anyone who is seriously interested in investing in Turkey as everyone in this company is a professional and treat their customers with respect.Today I have completed the snag and made the final payment. Everything from start to finish was smooth, professional and most importantly to our 100% satisfaction. Many thanks to everyine at THO. My wife and I would like to thank Andy and Deniz and all the staff at Turkish Home Office with the very professional way they handled the recent sale of our property in Didim. Nothing was to much trouble and the sale all went through very smoothly. Highly Recommended and trustworthy!! Altinkum has its fair share of so called “estate agents”. Thankfully, we chose Deniz and his team at Turkish Home Office. Professional, prompt, polite and courteous with outstanding customer service throughout. If you’re in the market, whether buying or selling, look no further than Turkish Home Office. I have no hesitation in recommending Deniz & Andy. Even after the initial transaction, their after care service was impeccable. Thanks Deniz and Andy. We both wanted to say a big thank you, for such an easy and smooth property purchase this week. Your staff are all extremely helpful, polite and professional and a big thank you to Andy for all his help, we really could not have had a better service, it was beyond first class. We have already recommended your company to friends and would not hesitate to use you again, thanks once again for all your help. I would like to thank deniz and Andy at turkish home office …the polat group for their outstanding and professional help when selling my property …a truly professional company who I would certainly recommend. I would not hesıtate and hıghly recommend theır skilled services. Thank you for the recent sale of my apartment in Didim under a power of attorney arrangement with your agency. I have received the full proceeds of the sale in my bank account and appreciate your help finalising the sale, especially the extra effort you put in to ensure I received the full amount despite the fluctuating currency market movements recently. I have been very impressed by the professional manner in which you handled the sale of my property on the Sungate complex C BLOCK number 5. Deniz and Andy exceeded all my expectations by facilitating the paperwork and even transport to and from the office, while explaining everything in very fluent English. I felt that I was in the hands of consummate professionals keen to provide the highest possible quality of service. Thank you. As a seller and a buyer we had the best and smoothest transaction we ever hoped for, Mr Deniz Polat was great to deal with ,nothing was to much trouble for him and his staff,very professional,and a fountain of knowledge, I would recommend this company to anyone thinking of selling or buying ,thank you Deniz for finding our dream home in the sun. Mr & Mrs Philip Heron. Mr & Mrs Elaine & Philip Heron.